Twists of fury! 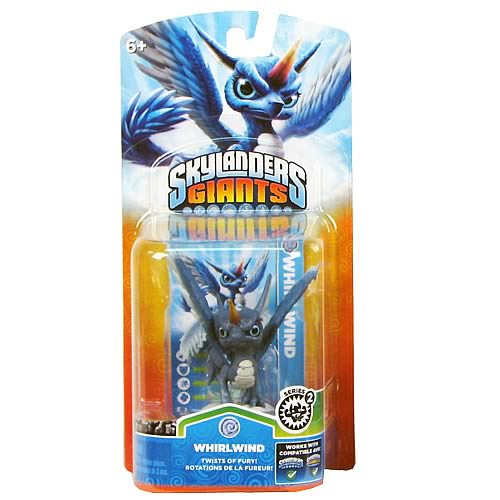 The unicorn-dragon hybrid known as Whirlwind can now be added to strengthen your line up of Skylanders characters! This Skylanders: Giants Whirlwind Single Core Character Mini-Figure will help you get a more powerful and complete collection of Skylanders characters. Compatible with the Xbox 360, Nintendo Wii, Playstation 3 (PS3), and Nintendo Wii U. Measures about 3-inches tall.